With on demand beauty apps popping up in the already super saturated beauty industry, retailers will have yet another force to reckon with. “What we think is never going to stop is the acceleration of the adoption of technology” says Shiseido’s global chief digital officer Alessio Rossi, and I could not agree more! The truth is that if brick and mortar businesses want to have a standing chance against this “acceleration of the adoption of technology”, the in store experiences are gonna have to be innovative in the way technology can be used to enhance the customers in store experience as well. Besides that, companies are gonna have to dust off their customer service training manuals and retrain all employees working on the sales floors. Customer service seems to be a fleeing thought in the minds of big beauty brands, and even now when we are moments away from being able to live like The Jetsons, customer service was, is, and will always be the most important factor helping consumers determine where and how they will spend their money. Now let’s examine some of the things retailers can do to provide impactful customer experiences to compete with these on demand beauty apps! There are obvious implications here, but let’s just deal with the most obvious one. How can a beauty counter compete with on demand beauty apps if their “artists” are not artists? Simple answer, they can’t. Beauty brands across the board need to really focus on artistry programs that define their specific aesthetic (nothing grinds my gears more than when I walk past a Bobbi Brown counter and the staff looks like they are competing in RuPauls Drag Race! ), and train them on how to replicate that aesthetic on clients of all I repeat all ethnic backgrounds, ages, and skin types. Along with basic makeup application skills and techniques, customer service has got to be stepped up. I have witnessed more cellphone calls, Snapchat videos, and selfie taking while ignoring customers, and it has got to stop. I have also seen clients come in wanting their makeup done and witnessed the staff refuse them because they didn’t feel like doing it! Nobody is perfect, but in today’s society where getting anything is an app away, there is little to no room for error. The next thing that companies can do to strengthen their employees ability to gain loyal customers is introduce technology in effective ways. 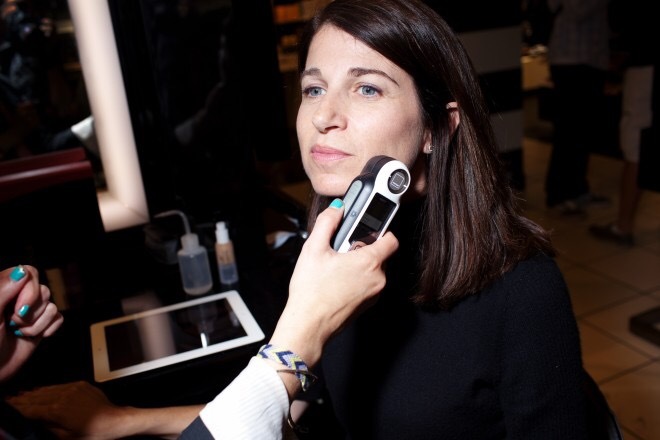 Sephora is a reigning champion when it comes to this because they have created a device that you hold to a clients skin to determine a foundation match in every brand they carry. 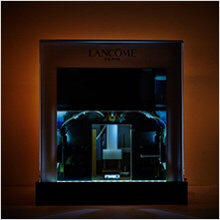 Lancôme just introduced a new machine that customizes and mixes a clients foundation right at the counter for $80. Those simple things provide a new innovative experience on counter. What can brands do that do not have gizmos and gadgets? Allow their employees to use cell phones to do the work! After matching a client for a foundation they can use either their phone or the clients to take a photo to check and make sure there is no flashback, weird undertone, or ashy cast on the skin. The cell phone could also be used to pick looks that clients choose from for makeup applications. Oh and let’s not forget the social media beauty gurus! Our lovely millenials live and breathe social media and in some cases will not make a purchase or let anyone touch their face unless the product or technique has been endorsed by a social media personality. Since that is the case, clients should be trained on the latest trends and products used by the top 20 influencers so they can be prepared for the questions regarding them. Cell phones should also be used to communicate all of these things because they can provide visuals for these trends and products leaving no room for error. I will continue to provide suggestions for what beauty brands can do to compete with beauty apps in part three of this post. Thanks for reading, and see you next week!